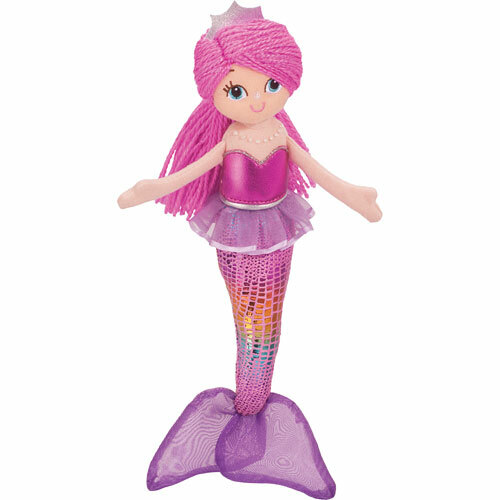 12" tall (with fins) Olivia the stuffed pink mermaid is all things magical and beautiful! 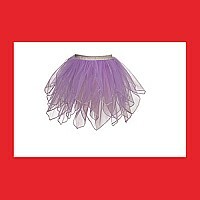 Metallic and shimmering materials, detailed embroidery, pink hair and purple crown! 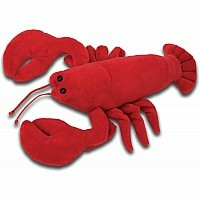 Perfect for imaginative play, cuddling and fun!